Keith Underhill, Andrew Roycroft, and Hugh Ferrier agree to answer questions on the books that have impacted their life and faith. Keith Underhill now lives in Liverpool but was a minister for over forty years in Nairobi, Kenya. Andrew Roycroft is a baptist minister in Northern Ireland. Hugh Ferrier is a Free Church minister in Stornoway, on the Isle of Lewis. K.U: John Owen on Communion with God from Vol 2 of his Works , I have completed Vol. 1 after the Banner Conference 2017 encouragement, and this is not only the next volume but a treatise that has so often been referred to. A.R: Faith and Its Evidences by John Owen (Volume 5 of Works). H.F: Michael Horton’s Ordinary: Sustainable Faith in a Radical, Restless World. 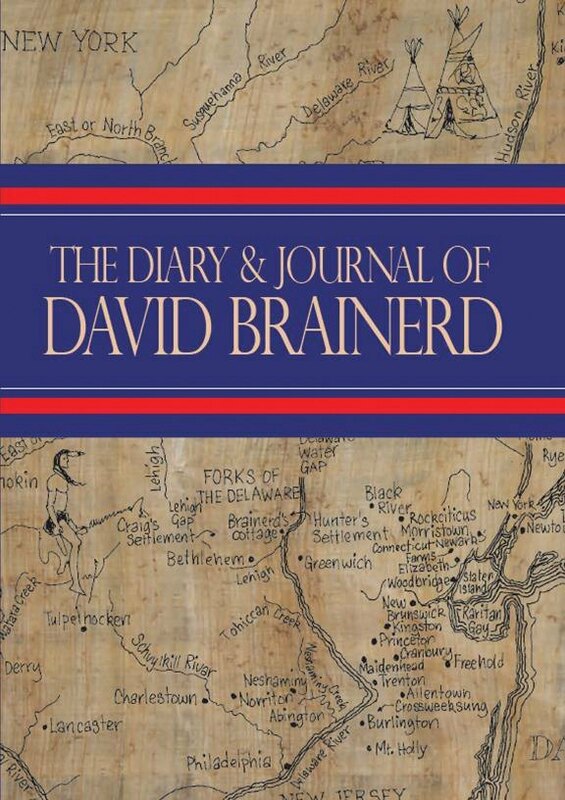 K.U: Andrew Bonar’s Diary and Life , One of the first books I read as a Christian, practical, godly living, living in light of the second coming of our Lord. A.R: There have been so many deeply affecting books but if we’re restricted to one, I’d have to say Martyn Lloyd Jones: The First Forty Years by Iain H. Murray. I read this in the first year of my first pastorate and it awakened me to new ways of thinking about Christian ministry and theology. H.F: It would have to be John Piper’s Desiring God. K.U: Platt, Radical , a message that is so vital today, for Christians to stop being conformed to the world and live in the light of the Great Commission. I didn’t think that his five radical responses to the book were that radical! A.R: The Quest for Full Assurance by Joel Beeke. For me this is a model work of theological acumen, biblical insight and pastoral wisdom on a topic of vital relevance to Christian living. H.F: Whenever I see John Owen’s Commentary on Hebrews on my shelves I wish I had such a grasp of this wonderful book and would be able to write and preach on it with such depth, insight, wisdom, understanding and devotion. K.U: Adams, Purpose in Preaching , his emphasis on finding the Biblical telos in every passage preached. A.R: I’d have to list two! Preaching and Preachers by Martyn Lloyd-Jones for its unabashed affection for, and belief in, the work of preaching; and Preaching: Pure and Simple by Stuart Olyott for its candor and clarity about ‘how to’, without being mechanical or programmatic. H.F: In terms of practical aspects of sermon preparation it has to be Haddon Robinson’s Expository Preaching. However, I loved John Piper’s The Supremacy of God in Preaching which encouraged and continues to encourage me to keep the Lord at the very center and heart of the message and the proclamation. I also benefited greatly from Michael Ross’s Preaching for Revitalization that emphasizes that what churches so greatly need when it comes to revitalization is revitalized pulpits. K.U: Cunningham, Historical Theology (but honestly I do not know if it is underrated) , I read it early on in my ministry and it gave me stability in what I believed, for doctrines are worked out specifically against the background of controversy. A.R: Faith, Doubt, Trials and Assurance by Peter Masters. This is such a pastorally wise and accessible little book which has been a huge help to me personally, and has proven to be a great resource pastorally. H.F: I don’t think J.I. Packer’s Knowing God always gets the recognition it deserves. It’s doctrinal, solid, devotional and practical. However, I rarely hear people speak about it in terms of it having an effect on them or even in terms of them reading or hearing about it. To me, it’s a book that every Christian (if they’re able) should read, particularly Packer’s focus on Adoption and his definition of a Christian being ‘one who has God for his Father’. That really changed my whole prayer life. K.U: Johnson, Worshiping With Calvin (except the short section on baptism) , A very clear Biblical and historical presentation of worship, such as I do not remember reading previously. A.R: Most recently it has been Seven Leaders by Iain H. Murray. His chapter on John Elias is captivating and deeply humbling. H.F: It has to be Mark Jones’ Knowing Christ , every page had nuggets of gold that made me want to worship and preach. After reading it while on holiday, all I wanted to do was to proclaim the Person and Work of Christ. K.U: Williams, Christianity Among the New Zealanders , The sacrifice of the heralds of the gospel, and the suffering of the first believers as the gospel advanced. A.R: Memoirs of an Ordinary Pastor by D.A. Carson. I finished reading this on the train from Dublin to Belfast and had to stare out o the window time and time again to hide my tears as Carson frankly and disarmingly shared about the ordinary travails and minor triumphs of his father’s ministry. H.F: There’s two and I return to them regularly. The first is Don Carson’s Memoirs of an Ordinary Pastor. It’s a book that challenges me again and again that I’m called to be faithful not primarily successful in the ministry, that I’m not called to build a platform or following for myself but am rather called to simply sow the seed. I find Carson’s closing statements on his father’s death and the ‘well done’ from Heaven particularly moving. The other one is Ray Ortlund’s exposition of Romans 8, Supernatural Living for Natural People. I love anything Ray Ortlund writes as he helps me see afresh the love of Christ for his people but this book takes it to another level. I was going through a particularly challenging period and working my way through this book brought tears of sorrow, joy and hope to me time and time again. K.U: Calvin’s Institutes (read only in part, I have now brought it from Kenya to read soon!). The comment is obvious! A.R: Reformed Dogmatics by Herman Bavinck. I have mined him fairly extensively on certain subjects, but I envy some brothers in pastoral work who have read one volume per year over four years. H.F: I’m ashamed to have never read Calvin’s Institutes from cover to cover though I dip into frequently. I’m also ashamed that I’ve never read the whole of Charles Hodge’s Systematic Theology which so many from previous generations have benefited greatly from. K.U: Flavel, The Mystery of Providence , Trust in the sovereignty of God in providence is at the heart of the Christian life. A.R: Read, Mark, Learn by John Blanchard for those early days. I’ve been blessed by the reaction of new Christians to Christ Our Life by Mike Reeves and The World Tilting Gospel by Dan Phillips. H.F: I frequently recommend Mark Jones’ Knowing Christ to see them grounded in good, reformed Christology and John Piper’s Don’t Waste Your Life to urge them to live for this Savior and Lord and seek to display his glory and beauty and worth. K.U: Blanchard, Right With God , A very clear and straight-forward explanation of the gospel. A.R: I still find it hard to go past Ultimate Questions by John Blanchard as a good introduction to the gospel. H.F: I must confess I’m not good at giving books to people who are thinking of becoming Christians. I often recommend to them that they read the gospels (particularly Mark and John) and talk through it with myself or others. If I am asked to recommend something I quite often refer to Douglas Macmillan’s testimony/booklet It Can’t Be as Simple as That. K.U: On Rhetoric in Preaching, although I have recently come across Carrick, The Imperative of Preaching. Often on reading Jeremiah I have been struck by the variety of arguments he uses, coming at his subject from every angle, seeking to convince. This is a lost ‘art’, including on myself. I was never remotely taught anything to do with rhetoric (as far as I can remember). A.R: An up-to-date, extensive, engaging, and thoroughly evangelical treatment of the life of Thomas Chalmers. H.F: I’m still looking for a Redemptive Historical Commentary on Song of Songs that blends exegesis of the text as it would have meant to its original readers with a Christological/Typological/Covenant exposition and a practical/devotional approach to how we live with Christ and how we relate to one another ‘in Christ’. There’s many good commentaries on the book but none which seem to blend all these features…yet! Being a Free Church Minister, I would also love to read an up-to-date, objective history of the years leading up to the crisis split of 1900, particularly with reference to the heresy trials of men such as William Robertson Smith and the Praise Controversy. K.U: Tallach, They Shall Be Mine , Wonderful, true stories of the conversions of well known and completely unknown people, children as well as adults. A.R: Everything a Child Should Know About God by Kenneth Taylor has been of real benefit to our own children, as well as a whole load of Carine McKenzie’s brilliant titles. H.F: It has to be Pilgrim’s Progress though I love Sally Lloyd-Jones’ Jesus Storybook Bible that takes its readers through both the Old and New Testaments, pointing all the time to Jesus , the true Hero of the Story.